Airlines are constantly looking for ways to cuts to increase profitability and an an often overlooked cost is the humble luggage label (the barcoded piece of paper that makes sure your bags are sent to the right place). "Once checked in, customers just need to hold their smartphone over the electronic tag, which automatically updates with a unique barcode containing their flight details and an easy-to-see view of their bag’s destination." This e-ink bagtag probably won't be used in the real world anytime soon (because of cost) but it is exciting to see airlines leveraging various technologies. 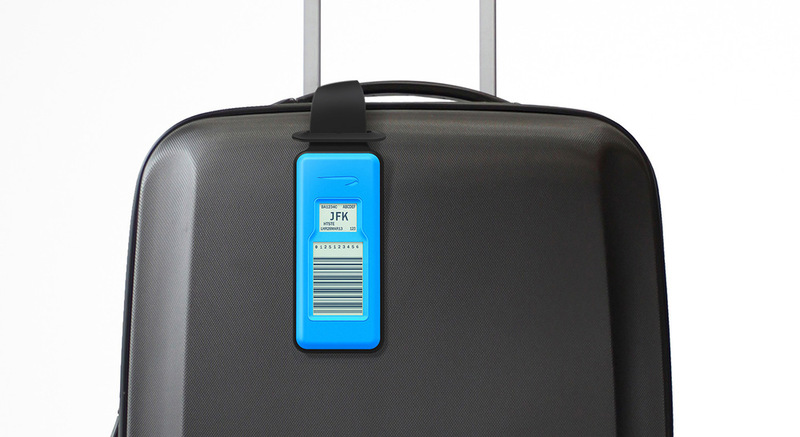 Designworks release about the e-ink digital luggage tag. Denture Bracelet : the ultimate in personal expression?